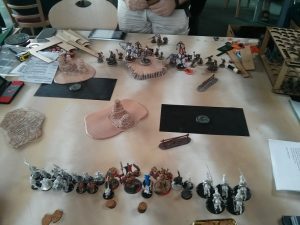 And we have another tournament report. Der Eisenhammer! Its also organised by the Headblast club in Oberhausen, and its called that because the location is literally “Am Eisenhammer”. You can’t make that up. Where the HMD were a 3 man team tournament, for the Eisenhammer we went full WTC. 5 man teams, WTC pairing rules. 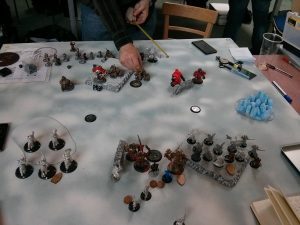 Most of the German WTC players were there, plus some Belgians and Dutch, as well as 1 Swede! I was determined not to play Caine all day long and I even brought a different Caine 2 list. Maddox staid the same from the HMD. Since the competition was expected to be fierce, we didn’t think we would be able to have the same success as at the HMD. Spoiler Alert – Bartek and Alex won their games, Martin and Björn lost. My game wasn’t the last to finish, though. Lützi, my opponent, brought Durst and Reznik 2. He drew Durst, I draw Maddox. He goes first and runs up. As he doesn’t have a ranged presence, so I can move as far as I want. 2nd turn. Durst moves up again, under guard of the choir. Sunbursts lob a couple of shots my way, but don’t do much.  He puts a Sunburst in his zone, and I think I could remove that easily and score. But then one of the Heavies moves up as well, so that easy plan goes out the window. I want to go for his zone and kill the Sunburst, but my Firefly can’t move far enough into that forest in the middle to look out the other side and shoot the Sunburst. Stormblades go after the objective and kill it easily. My jacks move into the right zone, as do the Storm Lances and Maddox – I score 2 CP. 3rd turn. Durst decides now is a good time to feat and moves into my zone, with two heavies b2b with him there. In walking distance of my jacks. Puts Orin behind him as well as Rhoven and his honor guard. His other jack takes out a couple of my Stormblades. I decide to counter feat and go for the assassination. If I can kill Rhoven, I can push both jacks away from Durst with Beat Back and then I might have a chance. I screw up the activation of the Lances and can’t get anyone in melee with Rhoven – but my dice run hot and I kill him with electro leaps. My Stormclad goes next, moves up and beats back 1 of the jacks. Then I try and hit Durst – I still need 8s and don’t manage to hit him. That would have been dice +4 damage rolls (P+S 22 vs. ARM 18). At that point it becomes highly unlikely I will win. The Hammersmith goes in, beats the other jack out of the zone and starts wailing on Durst. I put 12 boxes into him, after Reduce. But he lives and I score the 3rd CP. 4th turn. He clears a way to Maddox and kills her. I lose the game, we lose the round. I could have given myself a way better chance at killing Durst. Lances can move / activate in a way, that I get a horse into melee with Rhoven. He won’t survive that. Stormclad can move in a way, where he has both jacks in b2b with Durst in Reach. 1st initial on 1 jack, 2nd initial on Durst, buy 1 attack on the second jack -> now both are away from Durst. I have 2 more focus and can start hitting Durst. I need 6s to hit – so lets say 1 of the two attacks hits. Thats a P+S 22 damage roll he can’t shunt off to one of his jacks and needs to reduce it. And THEN the Hammersmith can go in and put 6 more attacks at P+S 20 into Durst. By no means guaranteed, but a pretty good chance of putting him into the dust. So we are out of the running for the victory (last time we came in 2nd and came close to winning it all) and now we draw team “Platz an der Front” (Spot at the front) from Dortmund. A team we have a reasonable chance at beating, or so we thought. Alex has booked a seat on the “Madrak 2 is not ok” train. Madrak surfed through his army and was content in “only” destroying a few Sentinels, a Banshee, the objective and Ossyan. Björn’s 4 centurions were to much for Bart and his Talons, Martin lost vs. Legion and Bartek won vs. Skorne. Again, my game wasn’t the last to finish, but the others were splitting their games. My opponent hast Zerkova 1 and Butcher 1. I think it would be best to drop Maddox again, as I think Caine will probably not easily kill either of those. I go first and just run everything up (the picture is taken in the middle of his 1st turn). As you can see, he does the same. Then I start shooting a little. Firefly gets Snipe and kills a couple of Rifle Corp, as do the Storm Lances. On the right side everything moves into position for the next turn. The Berserker goes into the Lances, Rifle Corps shoots a little, Pikemen move up in Shield Wall – his jacks don’t want to be charged and move behind the wall. I spent way too much time trying to figure out how to get rid of the Pikemen in the middle, to send both my jacks into Ruin and the Juggernaut. Eventually I realize, its not possible, because Lanyssa Ryssyl can’t put Hunters Mark on Ruin. Sad times. The Lances try to put the Beserker down, but it doesn’t happen. Khadors turn. Stuff dies. The Berserker kills maybe 1 Lance, while Devestator and Pikemen kill the Firefly. He also puts some boxes in to the Hammersmith and ‘clad, but not enough to put them down. I think he feated that turn. I feat as well and try to score at the right flag – but screw up the activations again and only the Jugger dies, but not the Marauder. A few more Pikemen go, but I don’t get Ruin and I never come close to the Butcher either. I think that is when I clock myself and lose the game. And we lose that round as well and are now 0-2. I don’t really know. Maddox was the better pick, I doubt Caine could have done much more. I should have played faster and maybe had a little better target selection. Lances were wasted on the left flank, trying to take the Berserker down unsuccessfully. After losing both of the first rounds, we were paired against Team “Also ran…” (“Unter ferner liefen” in German). Spoiler Alert: Bartek, Alex win their games, Martin and Björn lose. We underestimated what Zerkova 1 can do with 3 Decimators and lots of Autodamage, so Björn’s 4 Centurions list was a bad matchup. I draw the mirror and I hate mirror games. Since my opponents lists are Kara Sloan and Haley 1, I draw Caine 2 and hope for an assassination vector at some point. He goes first and moves 1 of his Hunters. Before he can shoot though, I tell him that my Trenchers are Dug in, meaning they had DEF 17. Plus, they were on a hill. So he takes that move back and does something else. Eiryss stayed far enough away, so that he couldn’t shoot her. He moves up the table a bit, one of the Hunters goes into a zone, Kara moves behind a forest. I move up and start shooting. The Stormtower misses the Hunter in the zone, sadly – as the Lightning Generator would have bounced into his Eiryss. But my Charger puts some serious damage on that Hunter. Ol’Rowdy gets Arcane Shield and moves up on the hill the Trenchers just vacated. Trenchers move up and Dig In again. Forgeguard run, Murdoch minifeats and they are now DEF 14, ARM 18. The Ironclad doesn’t move very far, I don’t want Hunters shooting him to pieces. Caine casts Bullet Dodger and moves in B2B with Rowdy on the hill. His 2nd turn. Kara gives away all her focus and feats, moves up a few inches. The Hunters start shooting at Rowdy and do quite some damage, but I don’t care all that much. Eiryss disrupts my Charger. Gun Mages shoot at Trenchers and manage to kill some. Precursor Knights move up in Shield Wall. Black 13th moves into the zone, away from my Eiryss. My turn. Lets end this game. I try to clear my left zone, to score 1 point. But since the Charger is disrupted, my chances aren’t good. The Storm Tower hits, but Eiryss manages to survive the leap. Trenchers charge in, mainly to clear the way. Rowdy runs up – also, just to clear the way. Caine moves up – within 12’’ of one of the Hunters on the other side and 3 Precursors, standing next to the Hunter. First shot, a Trick Shot, into one of the Precursor Knights. Sloan is standing right behind this group, so she takes 2 damage from the Trick Shot. Remember, she is out of focus. His eyes grow bigger, when I tell him about Trick Shot and that I can do that 8 more times now. After my initials, and Reinholdts reload are gone, I can afford to boost the hits on the Hunter (I need 5s). Kara Sloan dies. None. I don’t know how the attrition would have gone. Outlast is my favorite scenario and I think I could have won it via scenario eventually, especially since he blew his feat so early. I would have probably counter feated and taken 2-3 Hunters off the board. But since he didn’t know about Trick Shot, this game was over fast. We draw one of our WTC teams in the final round, team 3 to be precise. Hrmpf, that doesn’t bode well. My opponent has Lylyth 1 and 3, and in anticipation of me dropping Caine, he drops Lylyth 1. I am surprised at the Lylyth 1 drop, he is surprised I drop Maddox. Surprise! He goes first. I ask about shooting ranges of his stuff. Subsequently I put my stuff in a position not to get shot. The Firefly gets Snipe, moves up and shoots 2 Nyss Archers. Bad move – as she is now too far forward and his Bolt Thrower, Lylyth plus Archers and I think the Archangel put it down. Its going great so far. Lylyth is standing next to the objective. The Archangel goes and stands next to her. For the rest of his turn I am hoping he won’t put anything else there, as Lylyth is the closest thing to the Angel and with just 1 fury on her she is in danger of dying to electro leaps. But nope – he puts the Naga in b2b with the Archangel, mentions it specifically and thus kills my plan. I spent about 10 minutes trying to figure out something to get to Lylyth. Run a horse and shoot it with the other 4 – I need to hit 9s, thats not feasible. Throw a Stormblade grunt there. Hammersmith doesn’t have 2 open fists, Stormclad won’t throw him far enough. Hm – put the Stormclad here, go over with the Hammersmith. Beat back. Beat back. Slam. Crap, can’t Beat back your own models. Clock is ticking though. I decide to play attrition. The Bolt Thrower dies to shots from the Stormclad and the Stormblades – I think a couple of Archers die as well. The Lances shoot the Archangel and I think they put a couple of boxes into the Naga via electro leaps. Now he goes again and shoots again. This time the Hammersmith bites it. Most of the Stormblades go as well, but now Snapjaw is pretty far forward. Again I am thinking of engineering a caster kill, but nope, not gonna happen. Instead its feat time. Maddox stays behind the obstruction on my side, but in a way that means she can have both the Lances and the Stormclad in her CTRL. Stormclad charges Snapjaw, kills it easily. GMCA puts a few boxes into the Angel. Storm Lances charge the Angel – only 3 get far enough for the charge, the rest just assaults. But its enough. 3 charging Storm Lances put the Arch Angel down and all of a sudden the attrition isn’t looking so bad for me anymore. My full unit of Storm Lances is still alive and in his face and he doesn’t have that much anymore. No heavy, only the Naga, Lylyth and a few solos. Maybe I can pull it out. Over the next few turns I try to get at Lylyth in any way that I can. I kill the Naga, the rest of the Archers, but Lylyth manages to evade me. My time is running really low. He scored already with the objective and in the zone once with Lylyth – so he is up 3-0. I have 39 seconds on my clock when I switch it over to him after my final turn. He clears the zone again, while I was standing at a flag and he at the other. Maddox was a surprisingly good drop into this. Granted, my dice were a little hot when the Archangel died, but still – POW 18 Charges, POW 15 Impact Attacks are a thing. I definitely wasted the Firefly, just for going after 2 Archers. Also – if I don’t spend so much time trying to get the caster kill in round 2, I won’t be pressed for time so much at the end and I might have pulled it out. Well, since Bartek and Martin both lost, we lost that round as well. Alex managed to squeak out a win against Protectorate and Björns 4 Centurion list bested Amon Ad-Raza. 1-3 is not a good result. Not that we had high hopes in this environment, but still. We are better than that. And to be fair – Rounds 1 and 4 were pretty close and could have gone our way as well. You may have read about my new Challenge – this means, I won’t be playing either Caine 2 or Maddox any time soon. I was gonna shelve them after this anyway, but now it will be for a bit longer. Next tournament are the Ruhrpott Masters in Lünen in about 2 weeks. I will take Haley 2 and Siege to that tournament, with pretty much completely untested lists.